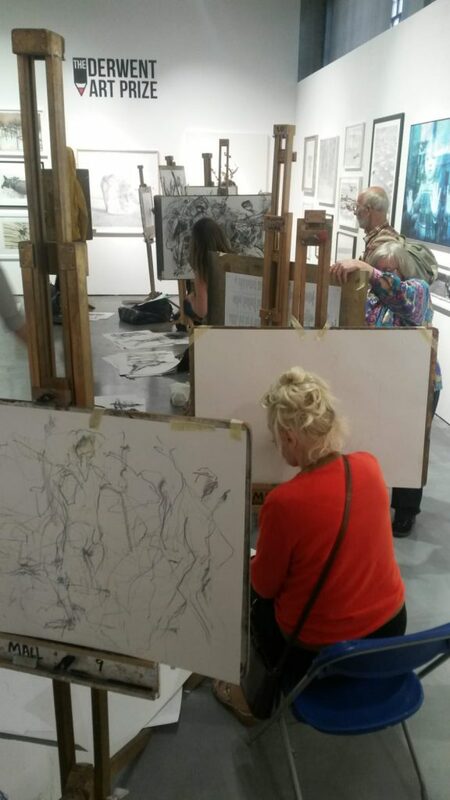 This year’s Derwent Art Prize at the Mall Galleries was accompanied by a dynamic events programme comprising a series of artist demonstrations and a one-day life drawing workshop, all of which took place against the backdrop of the show. 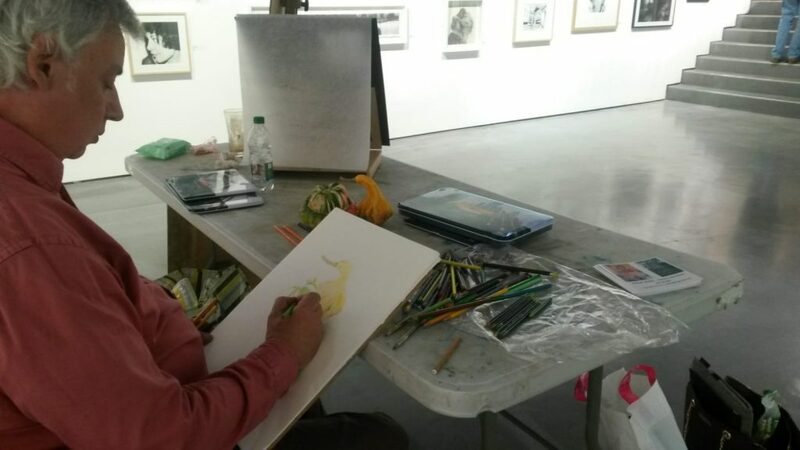 2018 exhibitor Ian Robinson launched the artist demonstration series on Tuesday 18 September, setting himself up in the centre of the Threadneedle Space with an easel and a table laden with sketches, photographs and a selection of Derwent Graphic Pencils. Ian is interested in depicting objects which, as a result of cheaper and less cumbersome digital alternatives, are in danger of becoming obsolete. Ian spent the day working on a drawing of a pile of hardback books, the photo-realist quality of his work adding an ironic dimension to his interrogation of the digital world. Wednesday saw 2018 exhibitors Lesley Doyle and Philip Hood carry out two very different demonstrations. 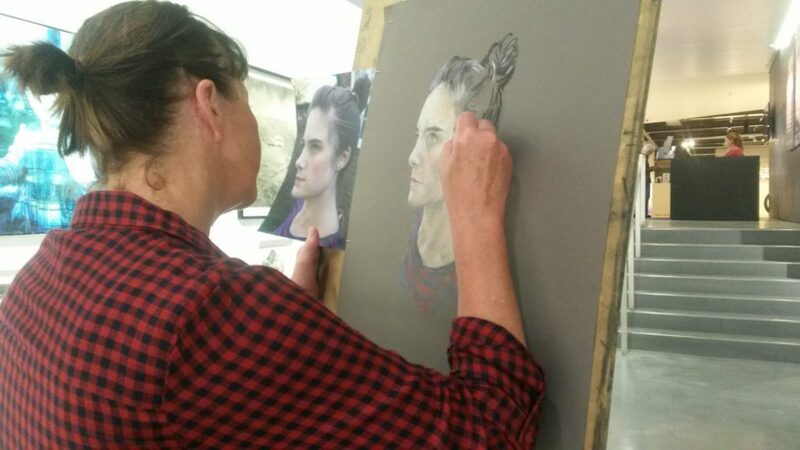 Whilst Lesley worked on a soft pastel portrait, suggesting form and depth rather than rigidly delineating it, Philip demonstrated a drawing technique which was much more architectural in quality. Already, then, three very different drawing techniques had been demonstrated, reflecting the diversity of contemporary drawing practice as encapsulated by this year’s exhibition. 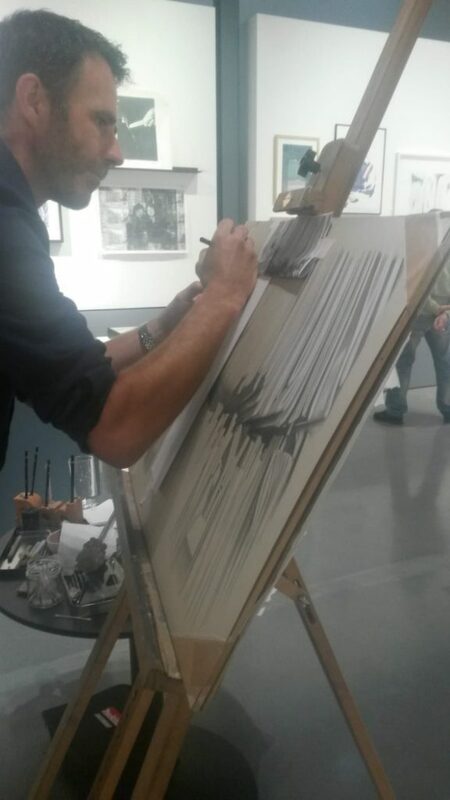 In a continuation of this trend, Pablo Castañeda Santana took on the role of artist demonstrator during the Private View on the evening of Thursday 20 September. As a result of the way that he paints – ‘backwards’, painting the foreground first and then covering it with layer after layer of background until he can peel the entire flexible sheet of acrylic paint off the glass, giving him a mirror image of his original idea – Pablo’s works are both ‘paint and painting’. His subjects often appear as composite or hybrid – evidence of his keen interest in the hybridisation effect of the internet – and this is true of the figures that populate his drawings, too. 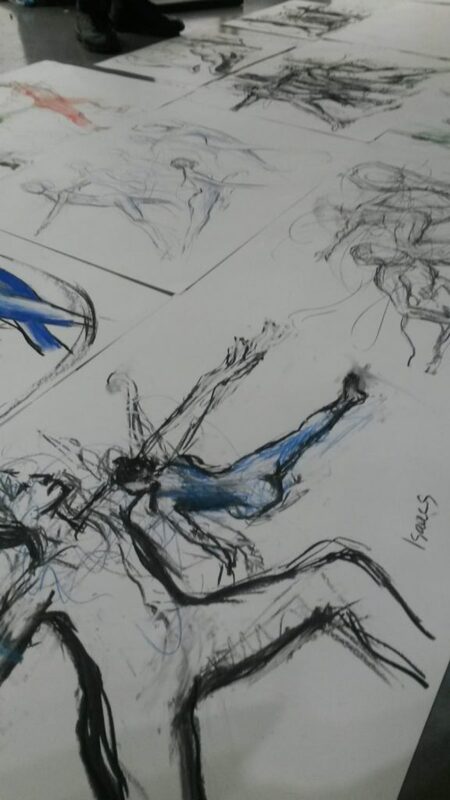 The events programme concluded with a full day life drawing workshop led by 2016 prizewinner Tim Wright. From 2011-13 he was engaged as a painting consultant by Film Director Mike Leigh and taught actor Timothy Spall to paint in preparation for his performance as the titular artist in the biographical drama Mr Turner. As an artist, Tim’s practice encompasses two strands: the portrait and figure painting. Currently, Tim is interested in the way in which people present themselves and groups interact, in notions of stillness and display, and also in the clothed and unclothed. His latest work depicts contemporary figures acting out poses and scenarios derived from baroque and rococo models. Tim’s workshop was designed to introduce artists to new ways of capturing energy and movement. 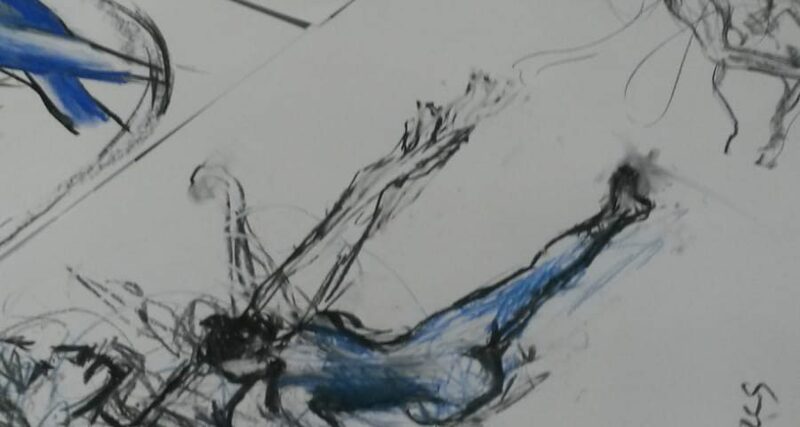 From instinctive 2-minute sketches to stacked drawings and more detailed studies, the workshop encouraged participants to watch the life model rather than their pencil, resulting in work which much looser and more organic than most of the artists typically produced. 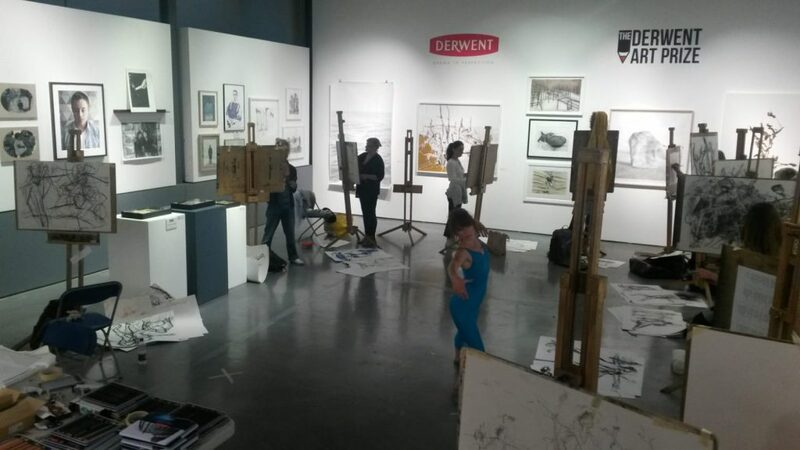 At the end of the day, having been stood at their easels for the best part of six hours, the artists left exhausted but brimming with a new confidence in their ability to suggest and capture kinetic energy. 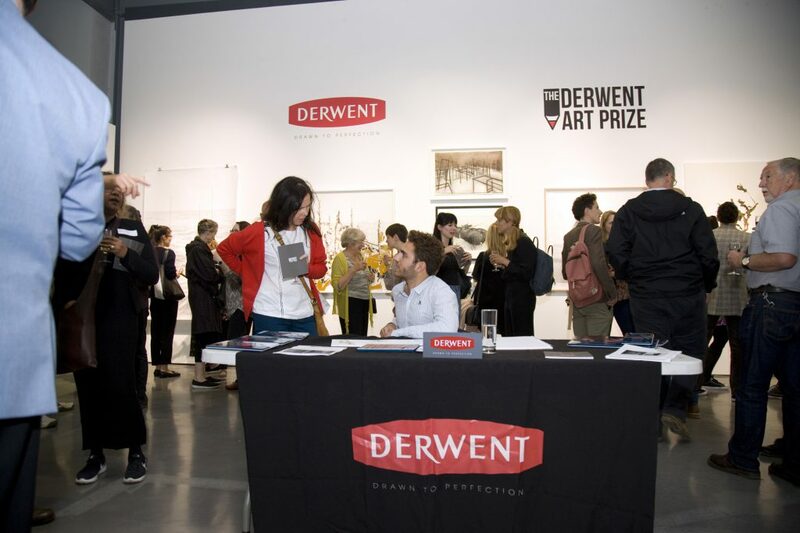 The Derwent Art Prize 2018 will be on display at Town Hall Arts, Trowbridge from 29 September – 10 November, before moving to the Derwent Pencil Museum, Keswick, where it will be available to view from 15 November – 31 January (2019). Next Post:Get spooky with Derwent Inktense and Derwent Metallic!